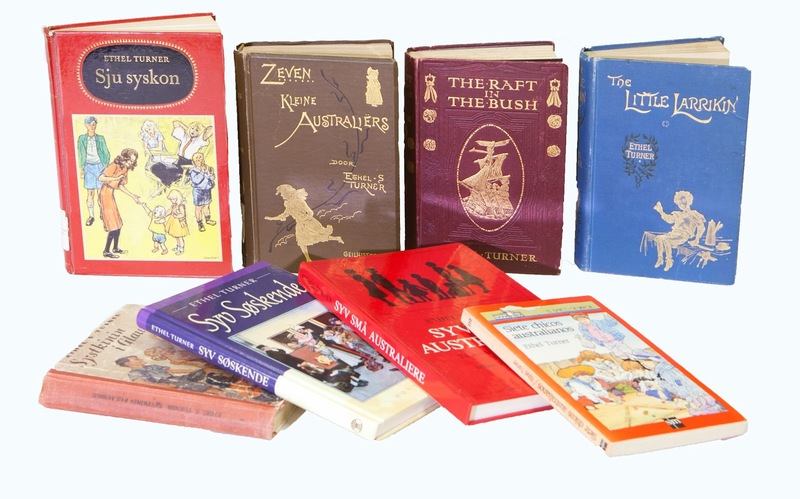 The Lu Rees Archives of Australian Children’s Literature is a comprehensive collection of more than 25,000 Australian children’s books in a wide range of languages, plus original artworks and unique research materials. Lovers of children’s books will be thrilled at some of the things to be found in the Lu Rees Archives, which has recently shared some of its treasures through exhibitions and events like the Festival of Australian Children’s Literature (Boundless and Showcase). The Archives continues its work with the generous support of the National Board of the Children’s Book Council of Australia, the University of Canberra Library, and a dedicated band of volunteers. A big thank you to Dr Belle Alderman, Emeritus Professor of Children’s Literature and Director of the Lu Rees Archives, for answering our questions and sharing her passion for children’s books through this hidden gem. You’ll find the Lu Rees Archives at the University of Canberra Library, in Bruce in the ACT. It is staffed part-time, so if you’re planning a visit we recommend that you contact them in advance. 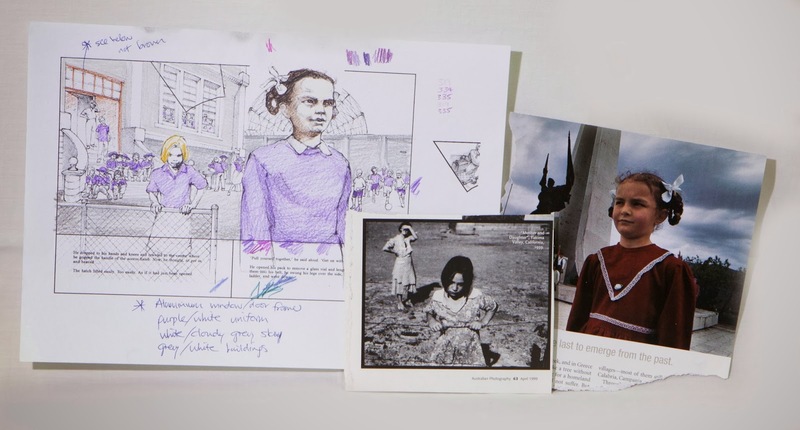 The Lu Rees Archives is a collection of national significance. Tell us how it came to be. Lu Rees was the inaugural President of The Children’s Book Council of Australia ACT in 1957. She achieved many things during her leadership including weekly reviews of children’s books in The Canberra Times, arranging overseas exhibits and exchanges of Australian children’s books with several overseas countries, and establishing the Christmas Book Appeal. She believed that there should be a collection of Australian children’s books and reviews about them that was easily accessible. She knew that teachers and librarians would use such a collection, share what they discovered and inspire children to love books. What will people find when they visit? It looks like a library, but then you notice many of the books appear in multiple editions, reprints and translations. There are almost 3,000 translations in 53 languages from Afrikaans to Zulu. Then you spot art cabinets with illustrators’ artwork, boxes filled with authors’ papers, manuscripts, photographs, audiotapes and over 400 research files brimming over with all sorts of information on authors, illustrators, publishers and critics. An external expert described these collections as unique and significant. Who uses the Lu Rees Archives? Is it just for researchers or open to anyone? The Archives is open to anyone, although with only part time staff, we aren’t open every day. All ages visit and use the resources including young children, young people in schools and universities, and retirement communities. Everyone comes with a different purpose – some want to study the art, others are intrigued by how the writers choose their words, others are mesmerised by book design. Researchers investigate the most fascinating topics such as mother-daughter relationships in young adult novels, censored books, award winners (which won and which didn’t win! ), which Australian books are translated into French or German and why. Here’s a short list of some of our visitors: authors, illustrators, publishers, teachers, librarians, historians, genealogists, gallery managers, art curators, book designers - and that’s just a few! Tell us about the books in languages other than English that are held, and why they are collected. The International Year of the Child was celebrated in 1979. It seemed like a good idea to collect all the translations of Australian children’s books, as who would have access to these otherwise? It was Lu Rees’ idea. Nothing daunted her! She wrote letters to publishers and authors. They were intrigued and agreed, ‘What a great idea!’ and sent her what books they had. Acquiring translations soon became an annual challenge. As the years passed, we watched as different countries took on the challenge. After the Bologna Children’s Book Fair began in the mid-1960s, Australian children’s books were sought after by overseas publishers. To this day, Australian children’s books are the most frequently translated of all Australian books published. The Archives holds one of Australia’s largest such collections. Just imagine 1,200 editions of Emily Rodda’s books or 100 editions of Gillian Rubinstein’s books – you’ll find them at the Lu Rees Archives. What are some of the most precious items in the Archives? It’s hard to pick! We hold the only Dutch edition of Seven Little Australians, published around 1898. We have one of five copies of Little Miss Anzac : the true story of an Australian doll, published in 1917. The journey this book took from Scotland to California then to the Lu Rees Archives is an amazing story. We hold over 800 artworks by Bob Graham whose work is loved by three generations both in Australia and overseas. There will be a retrospective exhibition of Bob Graham’s works over 30 years, taken from the Lu Rees Archives and featuring at the Canberra Museum and Gallery from 16 May – 24 August 2014. Apart from books, artworks and research files, you’ve also collected some unusual objects. Tell us about them. We have a chocolate egg produced to celebrate Blinky Bill. We ate the chocolate and put the gold foil back together! We didn’t want insects enjoying our treasure. We have three tiny badges celebrating Possum Magic, Teen Power Inc series and Snugglepot and Cuddlepie. Then there’s our collection of over 400 bookmarks featuring Australian children’s books. 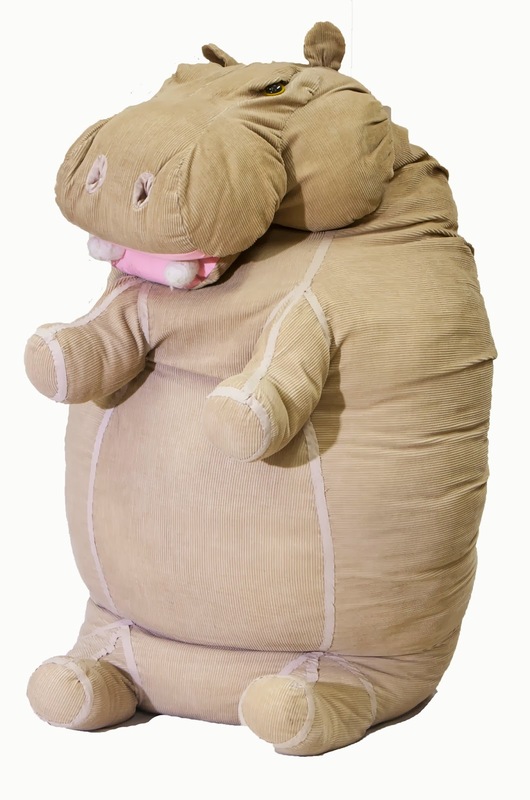 We also have tiny figures from the Deltora Quest series, key rings, maps, posters, hologram images, puzzles, games, and a very large hippopotamus that stands by our door and welcomes visitors. Three things everyone should know about the Lu Rees Archives? The Archives is the perfect place to understand how books are created, as we have the artists’ preliminary and final work, the drafts of an author’s words and large research files about individual books. We don’t have every Australian author and illustrator as we’d need a gigantic building, but we have many who are well known, such as Emily Rodda, Gillian Rubinstein, Jackie French, Elizabeth Honey, Gary Crew and Isobelle Carmody. Our website includes the details of what we have, although this is constantly changing. You must visit us often! Which Australian authors and/or illustrators would you recommend to someone exploring Australian children’s literature for the first time, and why are they significant? For picture books, you can’t go past Margaret Wild, who writes strong and gentle picture books. Bob Graham was first published in 1981, and at the Archives, it’s possible to trace his development over the years. For younger readers, our Emily Rodda collection is unsurpassed – the largest collection in Australia. A reader could delve into her papers and manuscripts, read her fan mail and see how she creates her novels. Who can resist the Rowan of Rin or Deltora Quest series! For older readers, Gillian Rubinstein is a writer for all ages. We have over 100 boxes of her papers and manuscripts including years of correspondence with her family, her school report cards and much more, and all her books too. She’s written for all ages and offers genres for all interests. Her writing is invariably deep and moving. For a mesmerising look at an author who writes for all ages, tries new genres and styles, you must see our papers and manuscripts from Gary Crew and read his books. His picture books for older readers are unique. • The Archives has over 1,400 books not held by any other library in Australia. • There are more than 150 editions of books by Ethel Turner. • 97 original artworks by Pixie O’Harris for The Wind in the Willows are included in the Archives. • Our collections of books by the popular Michael Salmon (dinosaurs) and Shirley Barber (fairies) are unsurpassed. • We hold all the works by Emily Rodda, Gillian Rubinstein, Ivan Southall and Patricia Wrightson. We’re working on others. Please check out our wish lists and help us complete our collections. If you’d like to learn more, visit the Lu Rees Archives website to browse their indexes and guides, learn how to look after your own papers, or find out how you can help out by becoming a volunteer or sponsor, or making a donation.